The Palestinians were set to conclude that their cause had been severely damaged in 2016 when the UN Security Council delivered a timely Christmas gift on 23 December: Resolution 2334. The resolution declared the West Bank and East Jerusalem to be occupied illegally and that Israeli settlements in both areas are in contravention of international law. Furthermore, it distinguished between Israel and the territories it has occupied since 1967. While it was a major surprise to everyone when Egypt circulated a draft text of the resolution on the 22 December, prospects for it to be agreed looked good until the Egyptians announced that they were postponing the resolution. The decision was made under pressure from Israel as well as, significantly, the incoming Trump administration. The following day brought a further surprise when four member states of the Security Council decided to bring the resolution to a vote; it was passed with fourteen out of the fifteen council members voting in favour while the United States refrained from using its veto to protect Israel. Rather than voting for a resolution which matched decades of official US policy regarding the illegality of settlements, the American ambassador to the UN abstained. The result of the vote was greeted with an unusual round of applause ringing around the famous Security Council chamber. Predictably,the Israelis were outraged; they rejected the resolution, called it “shameful” and accused the outgoing Obama administration of stabbing them in the back by abandoning the long-held US position to protect Israel from “one-sided resolutions” by wielding its veto. Those proposing the resolution quickly incurred the wrath of Israel, which recalled its ambassador from New Zealand and cut aid to Senegal. Ambassadors of other members of the council, including permanent members, were summoned to the Israeli foreign ministry — on Christmas Day — while the US ambassador was called in for a meeting with Prime and Foreign Minister Benjamin Netanyahu. It has to be said that while Israeli religious leaders were banning Christmas trees in Israel, the other SC — Santa Claus — who has not been over-generous with gifts to the Palestinians in recent years, ensured that resolution 2334 brought them some Christmas cheer. However, the question that has arisen since is whether or not the Palestinians will harness the opportunity presented or squander it as their leadership has done on at least two previous critical occasions. Despite initial celebrations by the Palestinian leadership and Palestinians, this judgement lay largely underutilised by the former. Twelve years on and Israel has not suffered any consequences for its continued breaches. On the tenth anniversary of the judgement, 86 legal experts wrote to then UN General Secretary Ban Ki-moon and the High Contracting Parties to the Geneva Conventions highlighting continued Israeli breaches and recommending ways by which Israel’s impunity could be challenged. Moreover, following Israel’s war against the Palestinians in Gaza in 2008/9, the UN Human Rights Council commissioned a report into the war which was headed by South African judge Richard Goldstone. The report contended that the blockade on Gaza was (and, therefore, still is) “collective punishment”, concluding that the attack on Gaza had been directed at the “people of Gaza as a whole.”Some of Israel’s actions constituted war crimes, it found, and the denial of rights of the Palestinians in Gaza “could lead a competent court to find that the crime of persecution, a crime against humanity, has been committed.” The report also accused Hamas of committing war crimes. Once again the Palestinians had an opportunity to use an independent statement both to highlight criminal Israeli policies and to seek legal means to punish it for its crimes. However, the PLO chairman and PA President Mahmoud Abbas caused outrage by delaying a vote in the UN Human Rights Council at the time, under pressure from the Americans. The Goldstone Report has lain unused ever since; in fact, under yet more external pressure the author subsequently retracted parts of it. An objective assessment of the performance of the Palestinian leadership in the international arena more recently shows that it has secured some important victories. The most important was perhaps the upgrade of Palestine’s status in the UN when it was elevated to a “non-member observer state” in 2012. The overwhelming vote, with 138 states in favour to 9 against (Canada, Czech Republic, Israel, Marshall Islands, Micronesia, Nauru, Panama, Palau and the US) not only gave a much-needed boost to Palestinians but allowed Palestine to seek membership of dozens of international organisations and accords. Crucially, it paved the way for it to seek justice for Palestinians through the International Criminal Court (ICC). Indeed, the Palestinians joined the ICC in 2015, a move that they hoped would open the door to possible war crime indictments against Israeli officials. They have since requested the ICC to open investigations into the 2014 war on Gaza, Israeli practices against Palestinian prisoners and the illegal settlement project.Following its admission to UNESCO in 2011, Palestine applied to join 15 international bodies and conventions in 2014. These moves have borne some fruit. Last October, the Palestinians took Israeli violations of occupied East Jerusalem to UNESCO and, despite tremendous pressure from Israel and its supporters, managed to secure a resolution on this matter, which troubled the pro-Israel lobby. 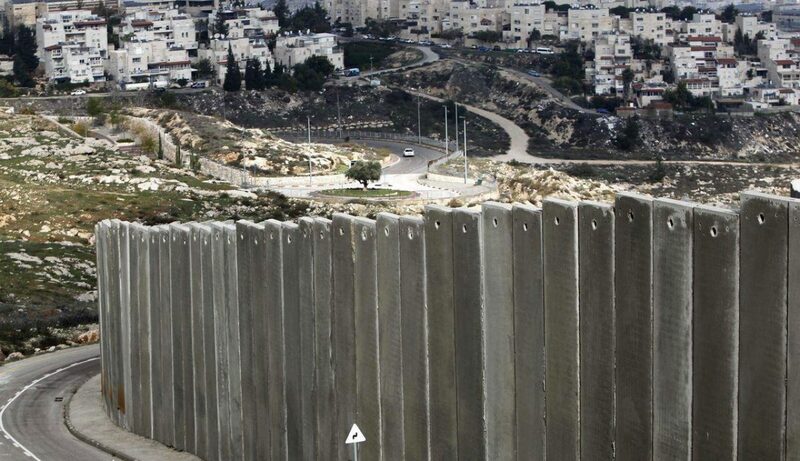 The Palestinians must now build on these gains and, in particular,having the world’s attention on illegal settlements following the adoption of UN Security Council Resolution 2334. Increasing efforts should be placed on documenting illegal settlement activities, through the PA working with NGOs that already have a track record in this area. Perhaps a visible ministry specifically for combating settlements – similar to Britain’s Ministry for BREXIT — could be set up which combines the documentation of statistics on the impact of settlements and the development of peaceful strategies to resist them. A further task would be to put pressure on governments, particularly permanent members of the Security Council who voted for resolution 2334, to articulate policies for extracting a cost for Israeli violations of the terms of the resolution. The cost of the settlement enterprise must rise to such a level that Israel will conclude that is unsustainable, as it did when the then Prime Minister Ariel Sharon decided to “disengage” from the Gaza Strip in 2005. A collective effort involving the Palestinian leadership must be tireless in challenging Israeli violations through legal avenues such as the ICC as well as a major diplomatic mission to pressurise other governments to act. The Palestinian people must take their own responsibility to boycott Israeli goods, particularly those made in settlements, even more seriously. Finally, Palestinians in the diaspora must pressure their own governments to accept that, without real pressure, an Israel emboldened by the election of Donald Trump will continue with its violations of human rights and international law. The challenge is immense, but Resolution 2334 has provided an opportunity for many actors to rally around one specific issue that Israel insists is controversial, but which every other state believes is not: its illegal settlements on occupied Palestinian land. The resolution must be seen — and used — as a tool, and not just another diplomatic but ultimately toothless victory.